We provide opportunities for students to study the broadest possible range of subjects and to acquire a variety of important practical and academic skills. Dedicated study to encourage successful learning. At SEF Senior, we ensure all students follow a broad study programme, carefully designed to meet the requirements of the National Curriculum of England and Wales. Through our programme, we prepare our students for successful completion of their secondary education at IGCSE, AS and A level. AS and A level Selection. AS and A level courses are offered to students in Years 12 and 13 who have achieved a minimum of five C grades in their equivalent IGCSE subjects. These courses are tailored to suit student needs and subjects offered may include: Art and Design, Biology, Business Studies, Chemistry, Economics, English Language , English Literature, French, Geography, History, Mathematics, Information Technology , Music , Physics and Physical Education. Students buy their IGCSE text books through the school; this ensures resources are available for reference and revision while at the same time facilitating learning. 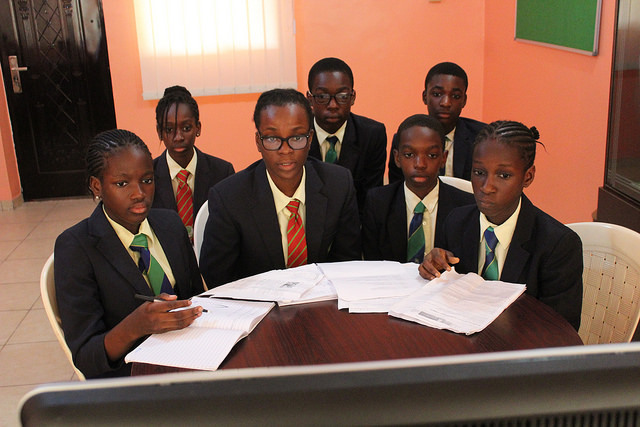 At SEF Senior we recognise strong academic performance alone is not enough. Which is why we invest in extra-curricula activities that help our students to develop and stimulate creativity, build confidence, learn life skills and create social awareness. Activities include dance, drama, computer, chess and music. Students are also encouraged to take part in community activities such as visiting ages and fund-raising for charity. Student tours and excursions are also part of the SEF School experience, with past locations ranging from places to places. Along with our excellent selection of clubs, sporting opportunities and organised day trips, we also encourage an appreciation of the Arts. Students are expected to engage in cultural activities during each academic term, with stimulating drama productions at special celebrations throughout the year.